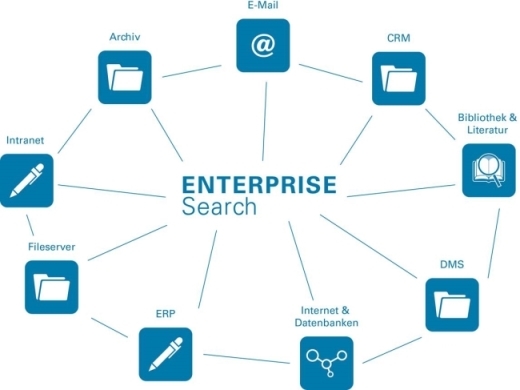 As enterprise search solutions have become more and more important for businesses over the course of the past several years, a number of secondary tools have come into play that have helped to enhance those solutions. While they may not all be necessary for every business, these search enhancement tools have the potential to offer some very nice benefits. In this article, we’ll be covering some of the most popular and useful of these software tools that may be worth considering for your business. One of the most important elements of truly utilizing a wide variety of enterprise content is analyzing it. This makes it easier to classify and to actually use, as you can see how different pieces relate to one another. This can help a company to find and predict trends of various types. Many companies today are using analytics software, but they are not using it to its fullest potential. A number of the enterprise search solutions on the market today are actually integrating this type of technology into their products. This helps to make it easier for companies to start using these tools. However, it is important for those companies to understand the way the tool works, and how they can adjust and modify it, to get the best results. Categorizers can help to make data extraction and mining much easier. It can help to illuminate the type of metadata, along with the extent and validity of the metadata. This can ultimately help to make the searches much easier and faster. A number of the search engine solutions available today actually have auto-categorizers built into them already. To make gathering the right data easier, it is a good idea to determine just what it is you are looking for and want to receive. A data mining product will allow the company to determine the details of the discovery process, so they can determine the type of data, along with the amount of content and the scope of the search in a particular application. Proper data mining can provide a company with information regarding their distribution of data collections, along with the rate of growth of the data. This can help to build a taxonomy, which we will discuss later. Many of the data mining solutions will also integrate with ETLs, discussed next. Companies that are dealing with a large amount of data used for unstructured documents as well as metadata may find ETLs a benefit. The automation they offer can help to reduce the amount of time and labor it would normally take to parse the data. A system can extract things such as titles, dates, names, and the like. Transformers can apply rules (predefined) that can ensure the content conforms to a standard you determine. The loader will take the transformed content and turn it into metadata form along with the full document. There are a number of different options and types of ETLs on the market, so it is important for a company to know the features and the scope of the tool when they are choosing a solution. A federating engine can help to merge search results and to provide a “normalized” view of the content to be used within the enterprise. They can range from simple results mergers to complex content enhancements. It all depends on the scope of the engine and the needs of the user. This can be quite beneficial for those who are trying to merge content from outside sources, as well as their own internal content. It presents everything that the user needs to know regarding their data search. The single-step process is far more efficient than having the user try to gather and aggregate all of the data alone. Navigation layers can help to narrow down the search so users can find what they need faster. They can do this thanks to their multi-dimensional taxonomic structure. You can program the navigation layers to work in various manners. They can work with various types of search engines as well. This is a fantastic option that can help make searching across teams easier and more accessible. When searching, it is possible to compile all of the needed information into a project. This type of search will often provide new content, which can all go into a single search set, and that set can then be used by others on the same team. This ensures everyone is working from the same content, and it helps to improve efficiency. It is possible to do more than just share the results with others though. It is also possible to tag and comment on the content, which can help immensely when it comes to collaboration. Few companies are using these tools today, but they are slowly being adopted as people start to see the potential that it can offer. Companies today are always worried about security, and rightly so. A security module can ensure that only the people who should be viewing the content will actually have access to it. When choosing a security module, it is important to make sure that it will work with the overall infrastructure and architecture of the network and system, which will typically be handled by the IT department. School security is one more issue to be addressed. A taxonomy builder will help a company content manager to create terminology lists that contain a large number of terms – sometimes thousands of terms. Whenever a term is changed, for whatever reason, the builder will change it across all of the metadata in the system. This means there are no “holes” where certain terms used will no longer pull up all of the results. These are some of the most common and most beneficial search enhancement tools available. Many of them could help to improve your own enterprise, so you may want to consider adding them to your infrastructure, but make sure you research the various options first, to ensure you are getting the best solution for your company. MikeÂ writes about enterprise software and covers products offered by software companies like rocket software about topics such as Terminal Emulation, Legacy Modernization, Enterprise Search, Big Data, Enterprise Mobility and more.